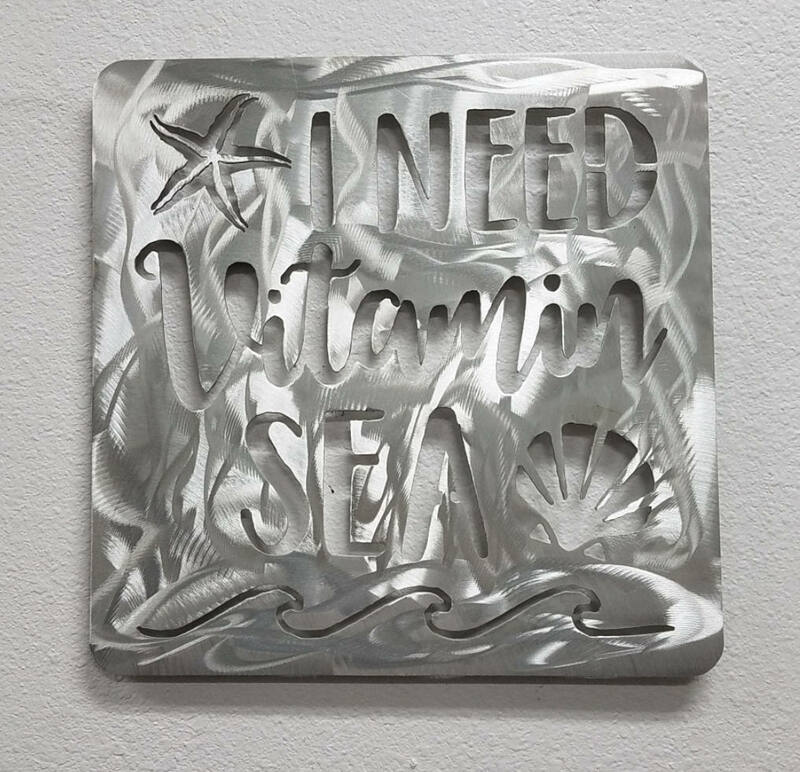 Our Vitamin Sea Metal Wall Art Sign is a perfect addition for the beach lover in you. 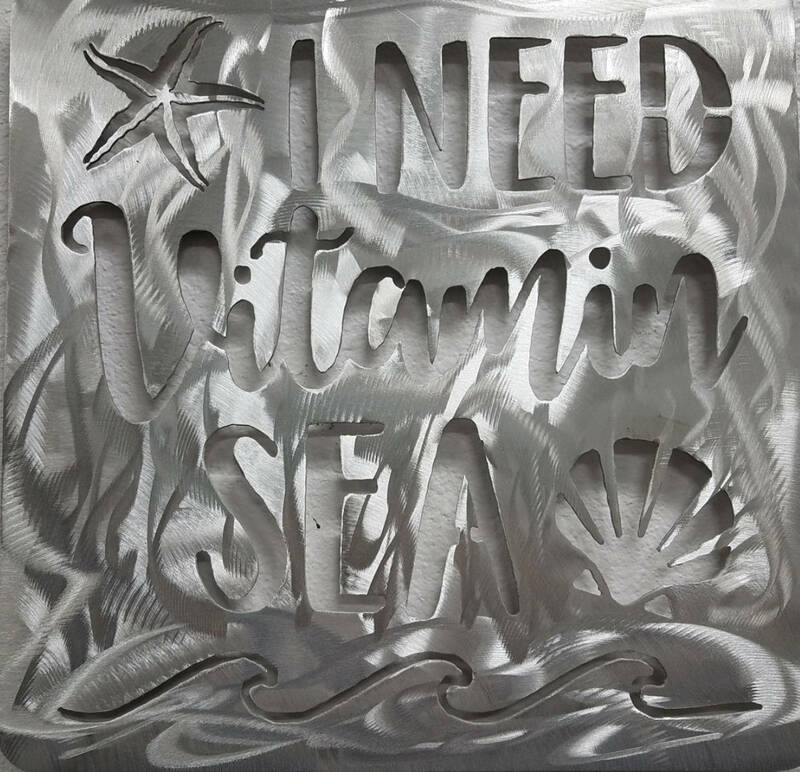 Featuring whimsical illustrations of a starfish and seashell, "I NEED VITAMIN SEA" is cut over a dancing beach wave. This attractive sign is 14" wide by 14" tall. 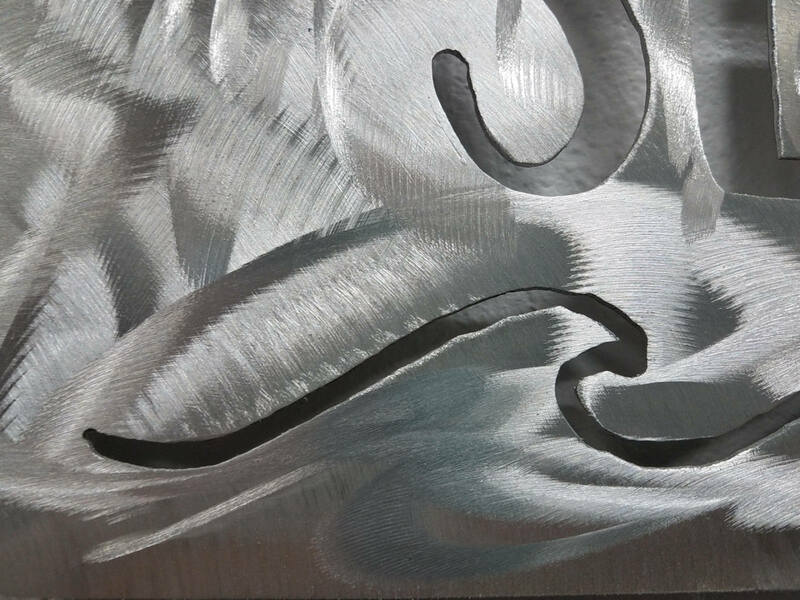 Plasma cut from 16 gauge aluminum, our I Need Vitamin Sea Beach House Decor is then hand ground to add depth and dimension to the piece. For those of us familiar with the salt air, we know what salt can do to steel over time. 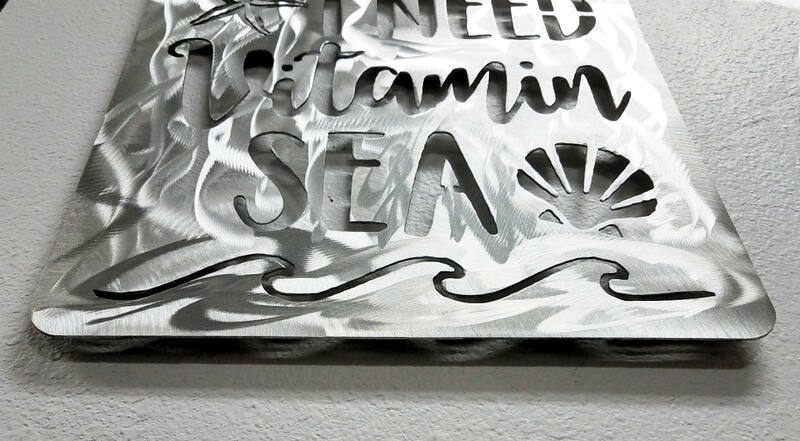 That's why we've created our Ocean Decor using aluminum rather than steel. Aluminum reacts to the elements differently and is therefore not susceptible to rust, making this a perfect addition as home decor or outdoor decor.